Traditionally historians have argued that the court of Elizabeth I (1558-1603) was factional, divided between competing subjects who were manipulated by their Queen. 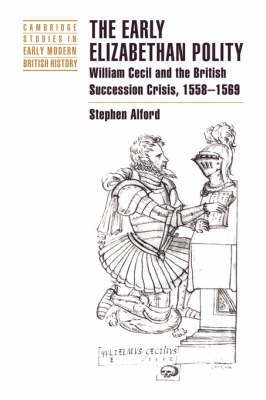 This book provides a different account: of councillors who were united by two connected dangers, namely Catholic opposition to Protestant England and Elizabeth's refusal to marry or to settle England's succession. This alternative account of the first decade of Elizabeth's reign investigates three main areas. It challenges the notion that Elizabeth I and her councillors agreed on policy, and that the Queen and her secretary, William Cecil, formed an inseparable political partnership; it establishes the importance of rhetorical training and the relationship between education and Elizabethan debates on the issue of service to the Queen, balanced against service to the Commonwealth; and it deals with the radical political conditions of the first decade, and argues that the origins of later Elizabethan crises lay in the 1560s.